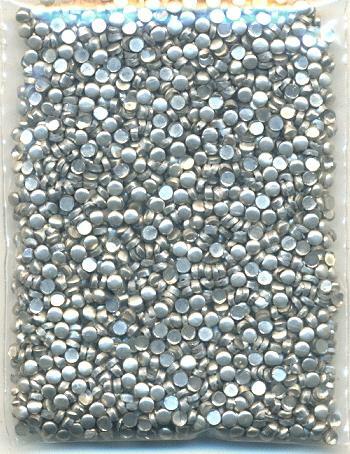 Price listed is for each 30 gram package of solder discs. They measure about 1.6mm around. These are vintage solder discs and we do not have the exact specs as far as the metal content and melting point. It DOES NOT COME PRE-FLUXED so you will need to use flux along with these discs in order to get them to stick. We have used these solder discs and we know that the melting point is low, probably around 300 to 350 degrees. We compared the weight of these solder discs to the weight of the 300 degree solder wire that we carry, and this would come out to around 35 feet of wire so the price is about half as much. These would work great for using with copper tape to frame stones!